You have papers to write and Gamecock events to attend. You don’t have time to drive all over town to find a service center. You need somewhere close and convenient. Luckily, Godwin Motors is only 5 miles from the USC campus. Godwin Motors has an experienced service team that you can trust to diagnose your vehicle’s problem. 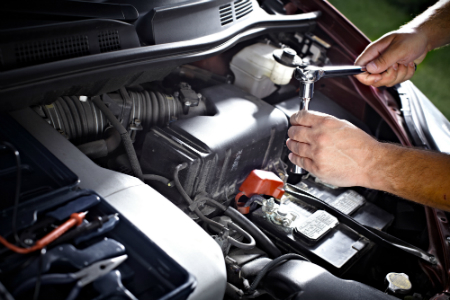 We can do it all from oil changes to major engine and transmission work. College students are always on the go and we don’t want to stop you. If your vehicle needs more extensive repairs, we can offer you loaner vehicles, pickup and delivery service, and even shuttle service. We want to make your service as convenient as possible, and we are always willing to go the extra mile for you, in this case literally. We even have a fleet of rental cars that you can rent without a credit check or even a credit card. Godwin Motors truly has your back in the Columbia area. Your parents want you to succeed in college and become independent. What better way to prove to them that you are being responsible than letting them know that you have a trustworthy service center down the road from the University of South Carolina. That way your parents don’t worry, and you feel confident of who to call. We know car service and maintenance is not a priority for college students. That’s why we want to provide the most convenient and affordable service for you. Go online to find a coupon just for you. We always look forward to helping our local Gamecocks. This entry was posted on Friday, August 24th, 2018 at 9:51 pm	and is filed under Godwin Service Center. You can follow any responses to this entry through the RSS 2.0 feed. You can skip to the end and leave a response. Pinging is currently not allowed.